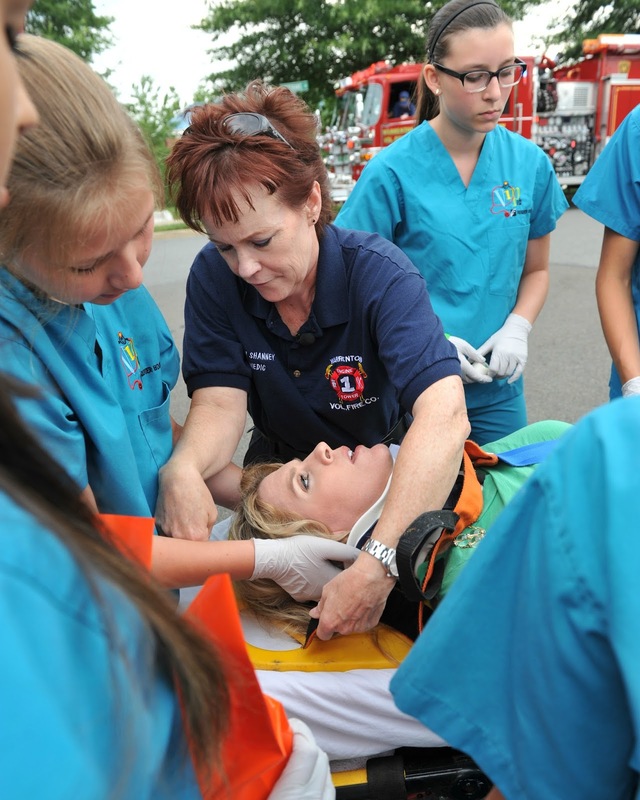 Colleen Shanney is a clinical tech with the Fauquier Hospital Emergency Department and a paramedic with the Warrenton Volunteer Fire and Rescue Company. Colleen helps out with Fauquier Hospital's Medical Camp for students. Colleen Shanney, clinical technician in FauquierHospital’s Emergency Department, has received the 2015 Mercy Award for her service to Fauquier Hospital patients and the community. The Mercy Award was established by LifePointHealth in 2002 to honor the life of Scott Mercy, LifePoint’s founding chairman and CEO. Mercy Award nominees consistently go beyond the call of duty in serving patients, co-workers and the community. They demonstrate a level of commitment and caring that transcends the everyday; respect the individual in everything they do, and inspire others with compassion, dedication and a merciful spirit. Shanney was nominated by a co-worker with these words: “In addition to being an indispensable member of the Emergency Department team, Colleen is very active in the local community and dedicates an enormous amount of her time to public service. 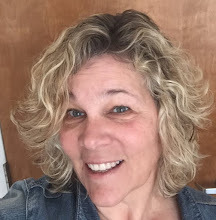 She has been a volunteer for the Red Cross and a volunteer firefighter and paramedic for the Warrenton Volunteer Fire Company for more than 15 years. In fact, it was this community service that inspired Colleen, when she was in her late 40s, to leave her career in finance to study to be a paramedic. She will tell you how much she liked helping people in the field and wanted to do more once she transferred their care to the hospital. 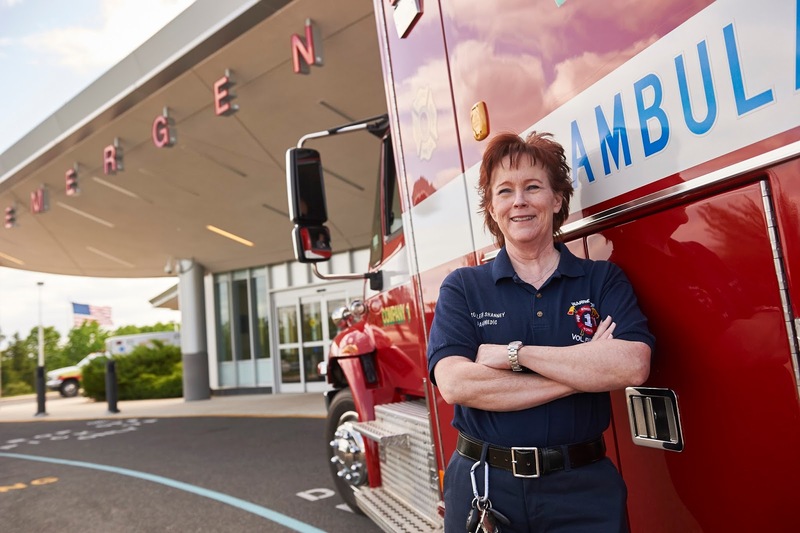 Dr. Michael Jenks, chairman of the Fauquier Hospital Emergency Department and medical director of the county’s Emergency Medical Services, said, “One of Colleen’s many strengths is the way she interacts with patients. She is a very strong, upbeat person and has a comfortable interaction style -- extroverted and positive. She can joke with patients who are in a hard situation, and has a way about her that helps them to relax. They appreciate her competence, her confidence and her lively sense of humor. Patients sense immediately that they are in good hands and trust her to take good care of them. Shanney said, “I am overwhelmed and humbled to be receiving this award. People who know me know that I am rarely speechless, but when I found out I was nominated, I was.